Home Wearable News Should I buy a Tesco Hudl Tablet? 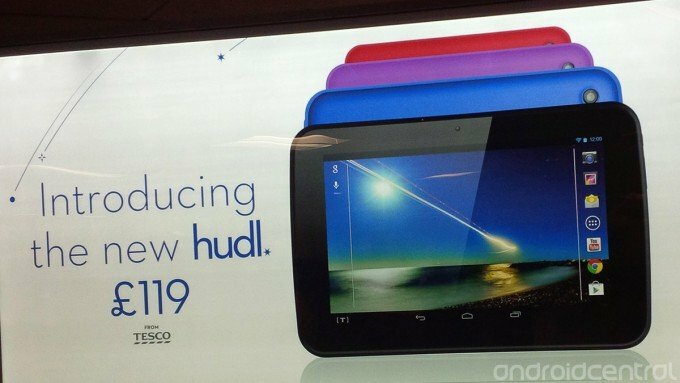 Should I buy a Tesco Hudl Tablet? The Hudl is pitched at the affordable end of the tablet market, and is powered by the Android OS. Much like the supermarket chain itself, it is a no frills, basic ‘you know what you’re going to get’ sort of device, and its intention is to act as a shopping portal, web browser and movie viewing gadget. This is not a high-tech competitor to the iPad Mini, instead its going to compete wt the likes of the Nexus 7 2nd generation and the Amazon Kindle Fire. Whilst basic, Tesco have aimed to include a lot of the features that you would expect to see on a 2013 tablet, although sadly they haven’t done a great job at implementing them. So you get both a forward facing and backward facing camera, bt the picture quality is borderline dire and thats in a well lit environment. Therefore if video calls through services like Skype are important to you, you may want to look elsewhere. The Hudl tablet is designed to bring all of Tesco’s services together in to one simple device. So they have taken the basic Android 4.2.2 OS and have appended a ‘T’ to it, denoting Tesco. This opens up all of the first-party Tesco apps to Hudl owners. So you get easy access to your Clubcard account, as well as Blinkbox (the Tesco owned movie rental website) and a dedicated app for shopping on Tesco.com with. So if you use a lot of Tesco services and are after a basic tablet for some simple movie viewing and web browsing, then this Android offering may not be the worst of choices. It’s important to note that you’re not tied into shopping with Tesco on this device. All of the Tesco apps are deletable, and if you choose to take this route, you’re left with a basic Google tablet. So if you’re more of an Asda shopper than Tesco, worry not. There is an advantage to being an avid Tesco shopper though – the upfront price. The tablet retails at £119 ordinarily, but if you have clubcard points, you can bag one for more like £60. Tesco are approaching this with the same indset as the other big retailer who entered hardware, Amazon, who see immense benefit in subsidising the upfront fee to get their Kindle Fire’s into their customers homes. Once users have tablets, research shows that these devices convert the highest for online retailers compared to desktop and mobile, so Tesco are arming their customers with the device that they’re most likely to shop with. At £119, the Hudl is far less attractive. Its £20 more than an Amazon kindle, and it has no read additional value over this device. So expect a big pre-Christmas push from Tesco aimed squarely at their core customer base, most likely followed by some heavy discounting in 2014.